Squash is a very fast-paced sport that is played in close quarters. The combination of high speed action and a small court space can mean accidents are very likely to happen at some point in your playing career. A squash ball in the eyes or face can be very serious. A wise precaution is to wear a pair of squash goggles to protect your eyes and avoid injury on the court. Even if you have glasses, there are squash goggles over glasses that you can wear too. If you are just starting out in the game of squash, there are a couple of things to know in finding the perfect set. A major consideration is whether to go with the standard goggles that are worn similar to a pair of glasses or the goggles with a strap that goes around the back of the head. Both styles are highly effective at giving protection on the squash court. 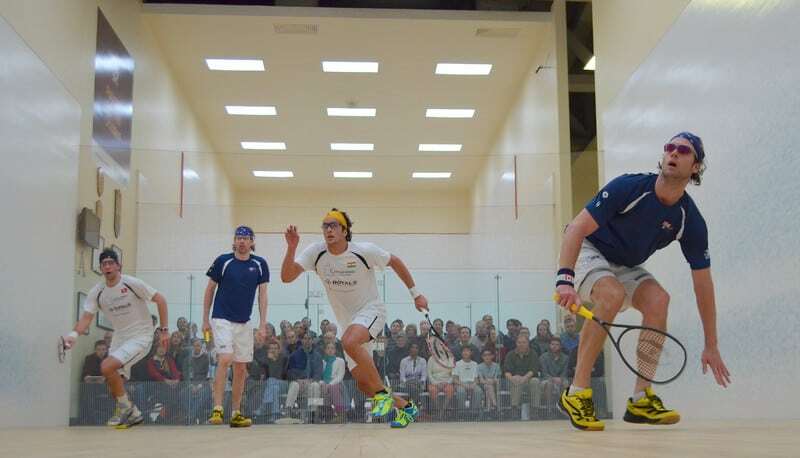 Many players prefer the squash goggles because the strap gives that extra little bit of security during game play. 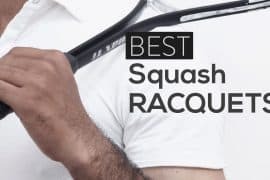 Also, for the squash players that wear prescription lenses, you will need to invest in a pair of squash goggles over glasses or even special prescription squash glasses. The prescription squash glasses are easily organized by talking to your optician. A further point of consideration when shopping for the squash goggles is the type of lenses in the goggles. It is essential to go with a high-quality pair with shatterproof and durable lenses. A pair of goggles is essentially there to protect your eyes, so if the lens shatters this is a significant safety risk. Also, the best lenses can prevent deep scratches which hinder the vision on the court and even from fogging up. Plus, the hard-wearing lenses will of course last that much longer and not need to be replaced as often. The Unique Over Specs Eye Guard is built to easily fit over any prescription glasses. 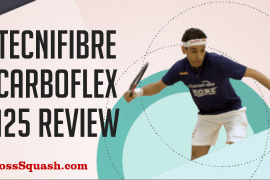 They are made of a shatterproof poly-carbonate to give reliable protection on the squash court and are even optically corrected to avoid issues with any signs of distortion. In view of the lightweight construction, they do feel very comfortable in use and will hardly be noticed while playing, but give that extra bit of reassurance that your eyes and expensive prescription glasses are protected in the unfortunate case of getting struck in the face by a rebounding ball. The BSN Overglass Eye Protectors are built in a rugged lightweight plastic material that has the ability to give a high level of protection in the event of being struck in the face by a squash ball. They are very effective at not clouding the vision to make sure maximum viability is possible at all times. While the BSN Overglass Eye Protectors may not be the most desirable option when it comes to fashion, they are really useful to protect the eyes, temples and nose when playing a fast-paced racket sport like squash. The importance of having proper protection on the court cannot be understated. Without your eyes and ability to see, you would not be able to play the great game that you love! 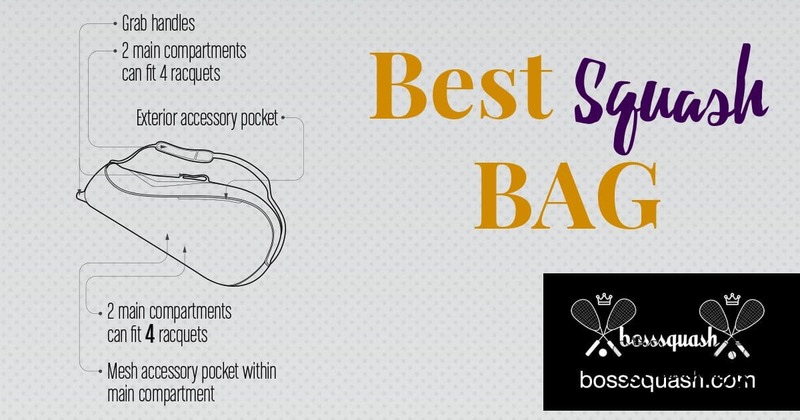 In addition to having the right eyewear for squash, other equipment is equally as important. 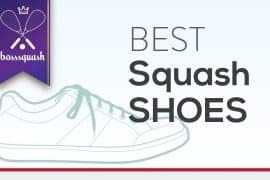 We have other articles that will help add to your doubles squash game focused on racquets and shoes.